To sign up, go to www.soundgardenworld.com. That’s really all there is. If you go to the Soundgarden site and register, all you get is a Soundgarden video to watch. But Chris Cornell‘s message on his site sure sounds like a reunion is going to happen, and as a Seattle-based site, we gotta take notice. Reunion rumors have been roiling the netz off and on this year, but Cornell has been denying that it would happen. Something has obviously changed. We’ve seen lots of reunions this year, and mostly they just make me wanna yawn. But these dudes were among the pioneers of music that put Seattle on the metal map in the early 90s and influenced the trajectory of heavy music for years to come. Don’t know if this reunion will just be for a tour or might actually result in a new album. 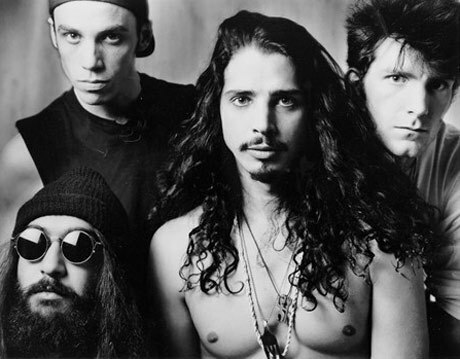 And even if it produces new music, who knows if it’ll sound like latter-day Chris Cornell or something like a next evolutionary step for the old Soundgarden (which would be way more cool). But are we interested in finding out? Absofuckinlutely.